Nestled in the heart of the Hill Country, on the banks of the brisk Guadalupe River, is where you will find the quaint small town of Hunt. There are plenty ways to cool off and enjoy nice cold eats and drinks in Hunt. There are numerous places to stay and enjoy a weekend getaway. Cabins, river front lodges, and rental cottages you can find on Airbnb. 1. The Guadalupe River in Hunt, TX. When you visit Hunt, TX. There are many different options you have for fun in the sun. 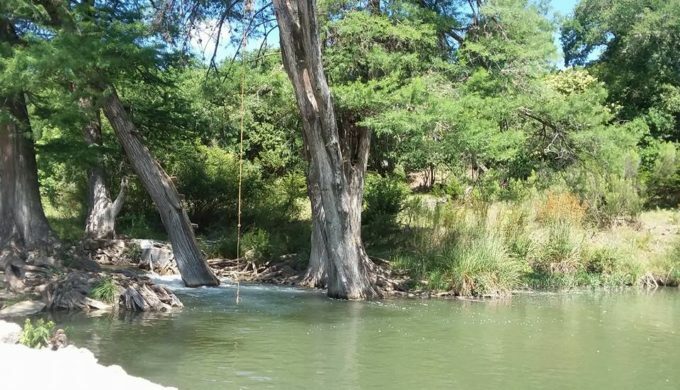 The Guadalupe River is the main attraction, especially in the summertime! There are plenty free low water crossings, and multiple different swimming holes to cool off in! 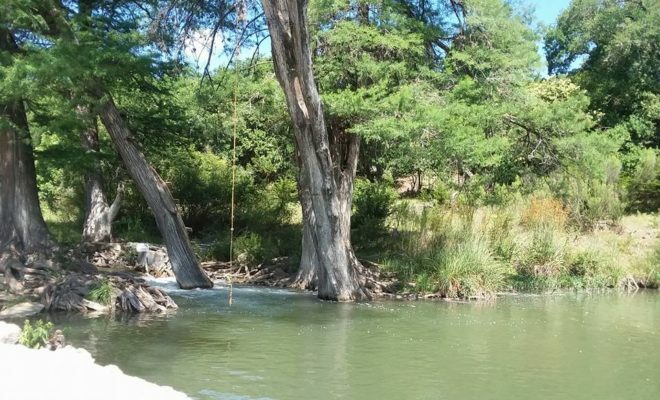 The Hunt Crossing is one of the most popular local free-swimming holes, because of the location, rope swings, and giant cypress trees that kids enjoy jumping from into the water! There is also the River Inn Hotel which has an amazing water front location that has a slide for the kids to slide into the river! 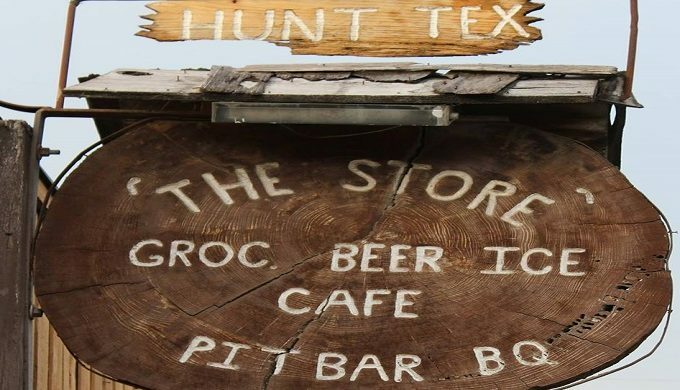 Swimming makes you hungry, so when you are done cooling off, head to the Historic Hunt Store for some local goodness. They have a full store for snacks, drinks, and ice. They also have a full-service grill that serves everything from Burgers, Salads, to one of the favorites, Axis Fingers! Elaine’s Table is also a wonderful place to eat, it is more of a fine dining spot for locals. Just before entering Hunt, is a beautiful place to eat, drink, and shop. Bridget’s Basket: The Market. 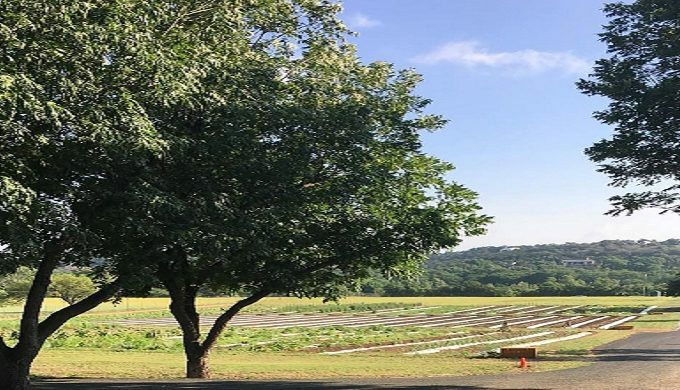 A unique place to get fresh produce, breakfast, lunch, and shop the store for locally grown, and homemade goodies! Everything at The Market is all natural, fresh, and is a beautiful place to get your weekend goods. Pick your fresh vegetables while walking through their beautiful garden! The wonderful people at the Market are there to answer all your gardening questions. Enjoy live music most Saturdays and Sundays while enjoying fresh vino and tasty treats!